The “right-sizing” of Time Inc. The amount of corporate-speak in the memo from Time Inc. CEO Joe Ripp regarding layoffs at that company today is truly astounding. I’d be impressed if I didn’t know it meant lots and and lots of journalists were going to be joining the proverbial breadlines as the business spins out from Time Warner and attempts to make its own way in the weary world of today’s media landscape. Time Inc. should be in the business of calling out this kind of nonsense, stocked as it is with Fortune, Money and the mother ship, Time. Sadly, there’s no one left at the business to write an article about it, let alone analyze the broader trend that the largest magazine publisher in the world laying off 6 percent or so of its workers (on the heels of laying off 6 percent a year ago) is a harbinger of doom for media. I feel terrible for all those journalists who’ve lost jobs today. 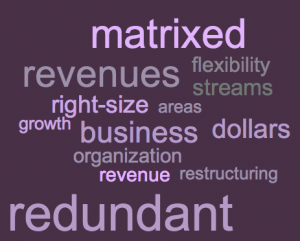 Let’s hope Time Inc. truly can save itself by “dissolv[ing] the complex matrixed organization” it created in the heyday of publishing and “free[ing] up investment dollars to deploy in growth areas.” Whatever that means. The media is clearly not exempt from the tyranny of the 1 percent. Just how many billions are enough for the people who run the media? At the very real cost of important coverage of issues that matter to us ordinary have-nots? It’s indecent and shameful. “But can he do it?” Who cares? Eye roll. A privileged white guy is a nonconformist? OK, if you say so. The Washington Post recently did a “But can he do it?” piece on whether Chris Hughes really can revitalize The New Republic. And speaking of white guys revitalizing the media: Can Josh Tyrangiel remake Businessweek now that it’s Bloomberg Businessweek? And speaking of The Washington Post (talk about the insularity of the media), can Robert Thompson remake it under NewsCorp? On and on. Obviously the trend is indicative of a much larger problem, which is that white guys in the media are constantly (unconsciously?) creating these stories so they can continue to reinforce their own relevancy. The narrative of “But can he do it?” is really their own, so they think it’s interesting for others to read about. And then their editors, who are for the most part white guys in the media, also think it’s interesting, so they OK the stories, and the column inches, and the emphasis in coverage. But obviously no one else cares whether these white guys in the media will succeed except for other white guys in the media. Really: Will Bloomberg Businessweek make money? Will David Karp reinvent advertising on the Internet? Well, WILL THEY? It’s boring. It’s irrelevant to most of the population. No one knows the answer anyway. And yet it’s the focus of coverage because, unfortunately, white guys run everything. So it’s a problem for women, gays, minorities and anyone else who would like see themselves and their lives and struggles reflected in the media but is completely un- or under-represented. Final note on this: “But can he do it?” is basically is Ken Auletta’s reason for being. It seems like every article he writes is another breathless “But can he do it?” He wrote a whole book that was basically a “But can they do it?” about the two white guys who created Google. Rarely, he writes a “But can she do it?” But given that there are only two powerful ladies in media (obviously, Jill Abramson and Sheryl Sandberg), these are unusual. But fair’s fair, he did write them, though I’ll warn you that neither of these women has any answers about the future of media, either. The response by Rachel Sklar on Daily Beast to Daily Beast’s own “Digital Power Index” and the sexism therein (just seven women out of 100) really nailed it. I think many white men believe that the world is a meritocracy because they are rewarded in all kinds of ways (rightly, they think). Actually, they started the race 100 yards ahead, but they’re willfully unaware and also somehow still proud when they win. Sklar name-checks Anne-Marie Slaughter’s piece in The Atlantic, which I’ve also been thinking about since last week. The piece is about why women can’t have it all. She carefully unpacks tropes like, “It’s possible if you are just committed enough,” “It’s possible if you sequence it right” and “It’s possible if you marry the right person.” In the piece, she discusses family, pressure to be on site in the office and institutional prejudice against working moms. There’s no real solution floated forward (one of the problems with systemic prejudices is that it’s hard to solve them! ), except maybe changing our agrarian school schedule to better match work schedules. Her conclusion is basically that we should all do what makes us happy. Which brings us back to where we started. When it’s hard to explain how you add value, it’s hard to argue against getting laid off. But clearly editors do add value, as the study notes, especially among women readers — it’s just that the value is added in ways other than dollars and cents, which is difficult to justify to the types who look only at the bottom line. But the feelings of trust and professionalism are ones that brands should cultivate, not get rid of. Never has the saying “the invisible hand of the editor” been more ironic. Seriously? 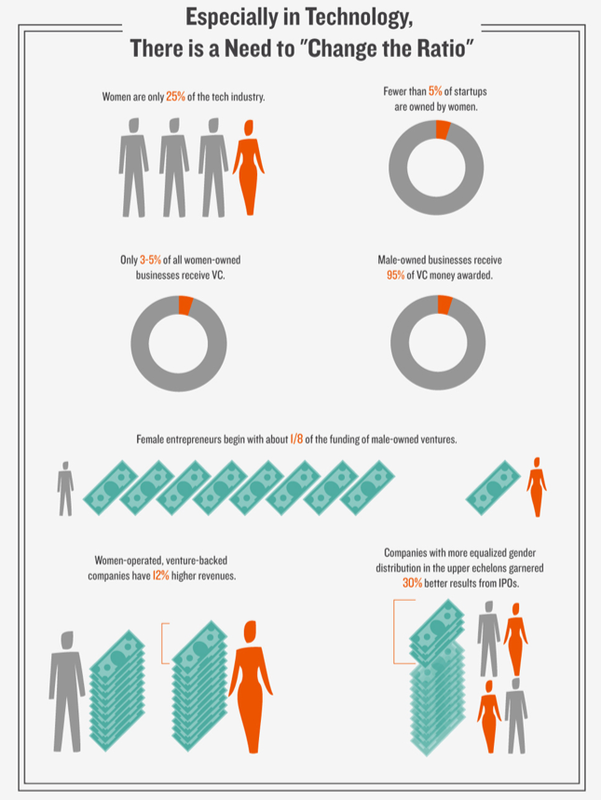 Only 3% to 5% of women-owned businesses receive VC funding?! Bit of a follow up to my earlier post about bringing back “the Company Man” in the Times today. The article discusses “the myth of the completely portable employee,” arguing that though so-called knowledge workers’ “means of production is found between their ears,” they actually don’t continue at the same level of performance if they go to a new company because the institutional knowledge they had acquired must be rebuilt. When you change jobs, the article says, you lose your “spheres of influence,” that is, your knowledge of the people and processes at the old job. Lots of food for thought herein. Yahoo for sale! Any takers? Anyone? Anyone?